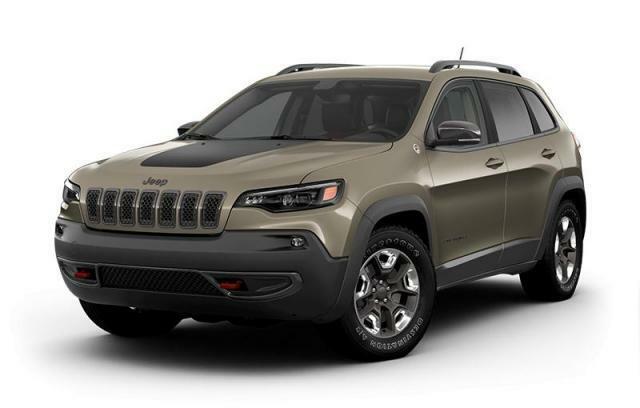 Comments: The 2019 Jeep Cherokee has be crafted and refined to provide a higher level of luxury and performance, these refinements include new front and rear bumpers, new LED head lamps, redesigned interior center console, 4 generation u-connect radios with apple car play and android auto, new available hands free lift gate best in class towing and off road capability and so much more, come on in and check one out today. *Estimated Loan Payments: 4.29% purchase financing for up to 96 months on approved credit. Selling Price of $41,576.00 with a $0.00 down payment, financed at 4.29% for 96 months with a cost of borrowing of $7,651.04 and a total obligation of $49,227.04. In ON/BC/SASK/ALTA/MAN and QC, total obligation includes freight, A/C, OMVIC/AMVIC fee, tire levy, administration charges and all other retailer charges and excludes taxes, licence, insurance, and new tire duties (in QC). In the Maritimes and the Territories, "Total Obligation" may NOT include freight ($1,795), A/C, tire levy, administration and other dealer charges, taxes, licence and insurance. Financing details are representative of what you may have to pay. See your retailer for complete details. Offers are subject to change without notice. Offer Expires Apr 30, 2019.